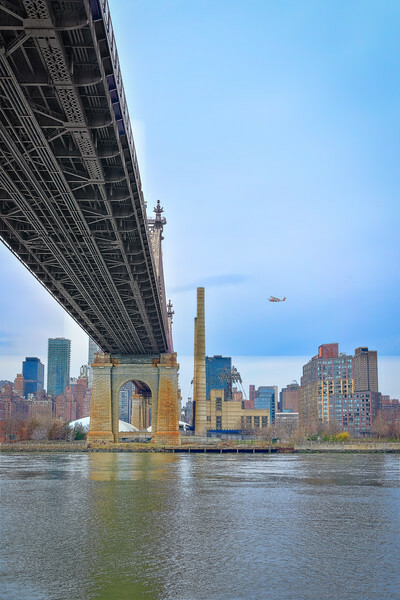 I like this shot of the 59th Street Bridge the most..It is more colorful and the crane that is in the first shot is absent from this one. I think the crane takes away from the beauty you are portraying of the city. Also the helicopter adds a realistic touch to the scene. Love this shot! !